Studies on toxicity of aluminum oxide (Al2O3) nanoparticles to microalgae species: Scenedesmus sp. and Chlorella sp. In view of increasing commercial applications of metal oxide nanoparticles their toxicity assessment becomes important. Alumina (Al2O3) nanoparticles have wide range of applications in industrial as well as personal care products. 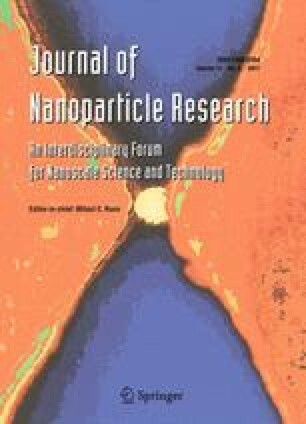 In the absence of prior report on toxicological impact of alumina nanoparticles to microalgae, the principal objective of this study was to demonstrate the effect of the nanoparticles on microalgae isolated from aquatic environment (Scenedesmus sp. and Chlorella sp.). The growth inhibitory effect of alumina nanoparticles was observed for both the species (72 h EC50 value, 45.4 mg/L for Chlorella sp. ; 39.35 mg/L for Scenedesmus sp.). Bulk alumina also showed toxicity though to a lesser extent (72 h EC50 value, 110.2 mg/L for Chlorella sp. ; 100.4 mg/L for Scenedesmus sp.). A clear decrease in chlorophyll content was observed in the treated cells compared to the untreated ones, more effect being notable in the case of nanoparticles. Preliminary results based on FT-IR studies, optical and scanning electron microscopic images suggest interaction of the nanoparticles with the cell surface.